From Software's latest is a genuine hit. Sekiro: Shadows Die Twice may be tough, but that hasn’t kept players away. From Software’s shinobi slice ‘em up sold more than two million copies across all platforms in its first 10 days on sale. Activision didn’t provide a breakdown of sales figures by platform, so it’s not clear yet how many sales are accounted for by PC players. Its peak player count, according to Steam Charts, is around 124,000 on PC, suggesting it performed pretty well. Activision did provide some stats on viewership though: Within one week, Twitch viewers had apparently watched more than a billion minutes of Sekiro streams. That’s 1,901 years. 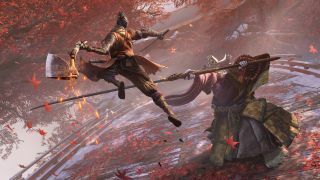 “Sekiro’s combat system serves up exciting new challenges to the end and the shinobi fantasy is powerfully realised in every savage deathblow and perfectly timed parry,” Tom Senior writes in his Sekiro review. He gave it a score of 92. From Software, meanwhile, is working on two unannounced games.